A whopping achievement for a company that started operations just five months ago! The brand currently has 96 dealerships operational, with the newest one inaugurated in Kannur, Kerala. Jawa will be opening new dealerships in four more cities shortly, bringing the total count to 100. Jawa Motorcycles is soon about to score a ton when it comes to dealership count! At present, the brand has 96 dealerships including the newest one in Kannur, Kerala. By this week, Jawa will inaugurate dealerships in Tirupati (Andhra Pradesh), Hubli (Karnataka), Jamshedpur (Jharkhand) and Tinsukia (Assam), bringing the total count to 100. With such a wide network, the cult bikemaker has presence in every other major city in the country. On the flip side, their two bikes (Jawa and Jawa Forty Two) have been sold out till September 2019, which is also when the Jawa Perak’s bookings will commence. That said, the wide dealership network will help the brand handle greater booking numbers in the future. Deliveries commenced from March 31, with orders based on the online booking sequence. Customers can also book their bikes at the dealership but will have to be prepared for long waiting periods. Jawa currently makes its motorcycles for the country at the Pithampur plant in Madhya Pradesh. Their products go head to head with the Royal Enfield Classic 350 and Bullet 350 ES. The Jawa and the Jawa Forty Two share a 293cc single-cylinder liquid-cooled DOHC engine which churns out 27.3PS and 28Nm. A single-channel ABS is standard but Jawa also offers a dual-channel ABS variant as an option. But deliveries for the dual-channel ABS variant will commence only after June 2019. 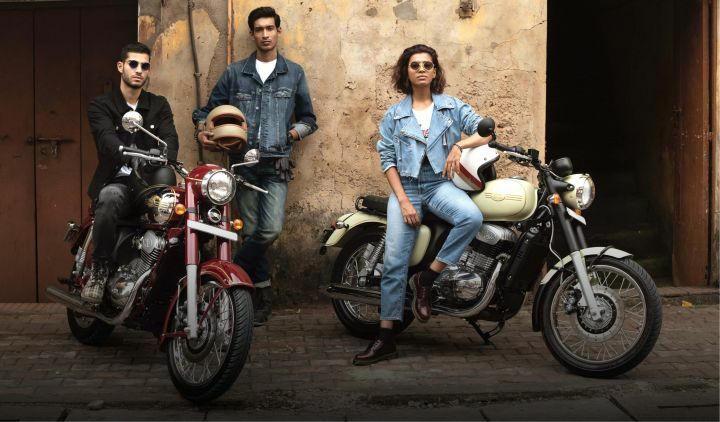 The classic-looking Jawa is priced at Rs 1.64 lakh while the neo-retro Jawa Forty Two will set you back by Rs 1.55 lakh, both ex-showroom Delhi. When launching at Erode city Jawa 42...? When launching at Erode city Jawa 42...? Share your experiences with Jawa? Confused about Jawa Motorcycles Jawa?